The other day someone asked me why I like to run. I said I feel like what I think a colt feels like when I am gamboling around the fields... but not every day, somedays I don't want to run and going out and not knowing why you're doing it and not liking the process is bewildering. My dog loves to run with me, so we do it together. Mailart 365 http://mailart365.blogspot.co.uk was comparable to a year long marathon. I made mailart every day because I said I was going to. Somedays I loved the have to do it feel, but sometimes I had no ideas and no one I wanted to communicate with. Luckily I was doing it with a group of other people, that helped it make more sense. This week I got some very welcome post from old 365ers. JJalltheway and I swapped a bunch of postcards. She began early, if not at the beginning of the 365 group. I began in September 2011. JJ and I discovered that we had teenagers of a similar age, so when she writes in this postcard of being 'wrapped up in sending my baby to college,' and not sending much mailart, I can relate! 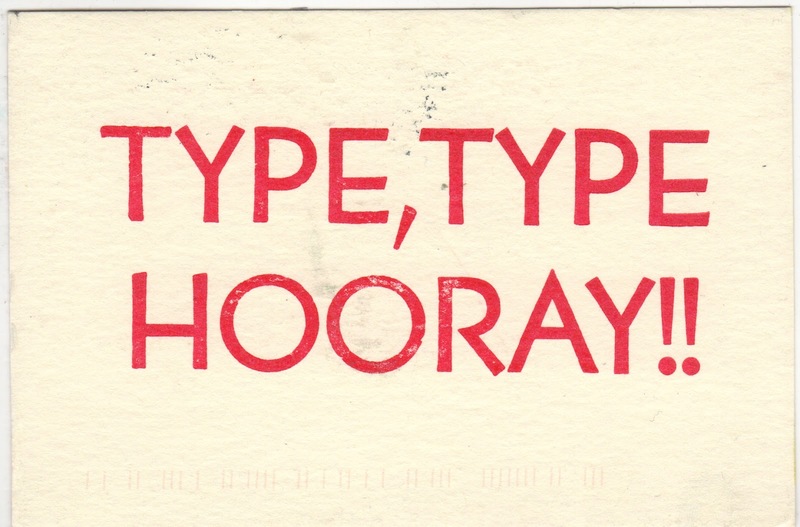 JJ's exciting news, and exciting imagery is thanks to a letterpress. I am touched that JJ sent me this card - her first project made with it! 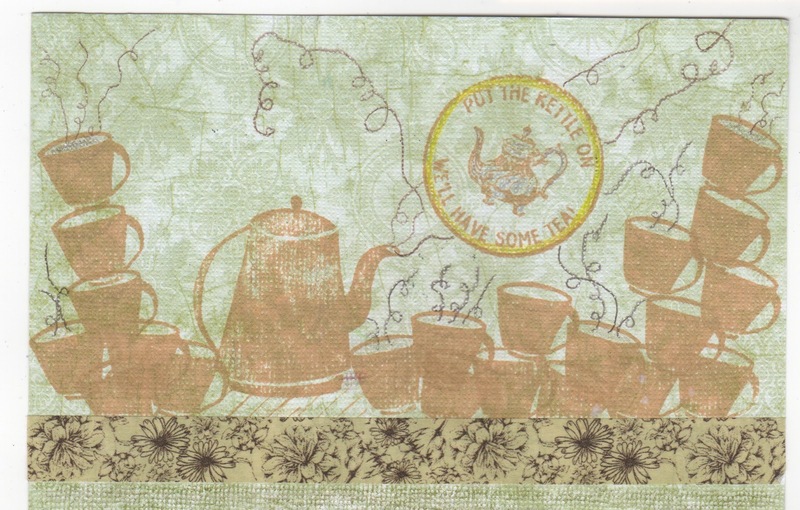 Spopod and I discovered in our mutual tea imagery that we both love tea. 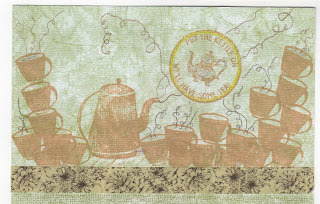 We also exchanged quite a few postcards over the 365 period, so am very pleased to have this tribute to tea as a reminder of Spopod and to commemorate our love of leaves. It makes me thirsty, so I'm off to brew up a pot with earl grey from our suppliers Norwich! Laura thinks we have better tea here on this side of the pond. She's probably right! Great to hear from you both and thank you! A great band. I have fond memories of that first group out of the gate, pacing ourselves around the globe, jj first each day. 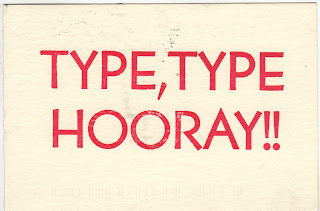 Isn't that letter press card fab? And tea, oh tea, yes, you do have good tea over there.